Since it’s formation in London in 1990, London-based prog-rock band Landmarq has so far released nine albums, two of which have been recorded live at various concerts in the UK and Europe and a third live CD taken from the DVD ‘Turbulence – Live In Poland’. The band soon firmly established itself within the world of progressive rock, though their appeal extended beyond these boundaries to a more mainstream audience. After three well-received albums, original lead singer Damian Wilson left to pursue a solo career and was replaced by award-winning vocalist Tracy Hitchings. Disc One – ‘The Tracy Years’ features a mix of studio and live recordings from Landmarq with Tracy Hitchings, plus a brand new track, also entitled “Origins”. This previously unreleased track was written and recorded by the band especially for this release and has been produced by Landmarq’s own multi-award-winning keyboard player and producer, Mike Varty. Disc Two – ‘The Damian Years’ includes long-time favourite tracks from Landmarq’s first three studio albums featuring the band’s original singer Damian Wilson, now internationally acclaimed as a singer-songwriter and lead vocalist of Threshold, as well as for his work with Rick Wakeman’s English Rock Ensemble, Headspace, Star One and Maiden uniteD. 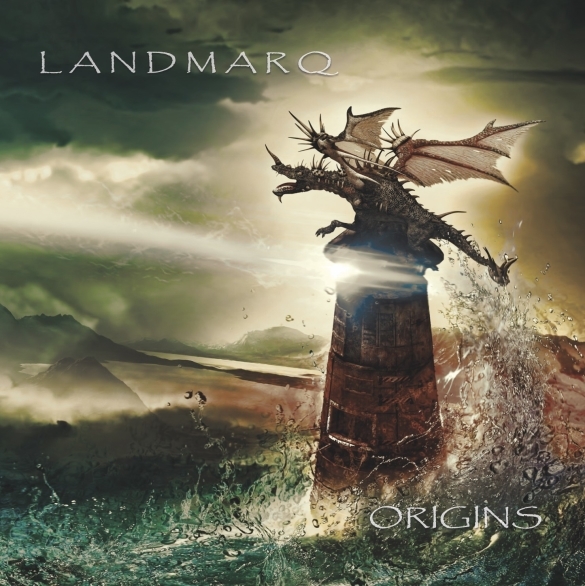 This stunning collection from Landmarq’s significant back catalogue, plus the exclusive brand new song “Origins”, is sure to appeal to existing fans of all eras of the band, as well as serving as a great introduction for anyone discovering Landmarq for the first time. This entry was posted on Tuesday, June 17th, 2014 at 20:32	and posted in Landmarq, Press Release. You can follow any responses to this entry through the RSS 2.0 feed.